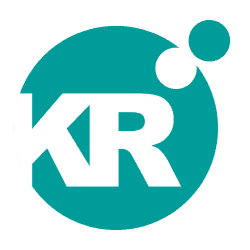 At KR Consulting we are committed to maintaining the trust and confidence of visitors to our website, subscribers to our newsletter and recipients of the communications and media material that we issue on behalf of our clients. Below you’ll find information on how we treat the data that we collect from visitors to our website, subscribers to our newsletter and recipients of our clients’ communication material. We use Google Analytics, to collect standard internet log information and details of visitor behaviour patterns. We do this to find out things such as the number of visitors to the various parts of the site. This information is only processed in a way which does not identify anyone. We do not make, and do not allow Google to make, any attempt to find out the identities of those visiting our website. You can find more information on how cookies are used on this website in the Cookies Policy below. If we ever want to collect personally identifiable information through our website, we will be up front about this. We will make it clear when we collect personal information and will explain what we intend to do with it. If you opt to subscribe to the occasional emails and updates that we issue about trends and best practice in marketing, we will collect and use your personal information – this is your name, email address and company name if you have chosen to divulge it. We only use this information to send you the information that you have asked for, to check our records are correct right and to check every now and then that you’re happy and satisfied.  We never rent or trade email lists with other organisations and businesses. We use a third party provider, MailChimp, to deliver our newsletters. We gather statistics around email opening and clicks using industry standard technologies to help us monitor and improve our communication. For more information, please see MailChimp’s privacy notice. As a marketing and communications consultancy, we collect and use journalist and PR contact data to share relevant industry information, which helps you to produce media coverage about our clients and their commercial interests. Currently we hold your name, email address, publication or company, functional title and work telephone number on our mailing list – we use these to send you updates and media releases on behalf of our clients. The data we use has either been supplied by you asking to be added to our distribution lists or has been collected via the contact information that is published publically by the publications you represent. We keep our privacy notice under regular review. This privacy notice was last updated on 5 February 2019.